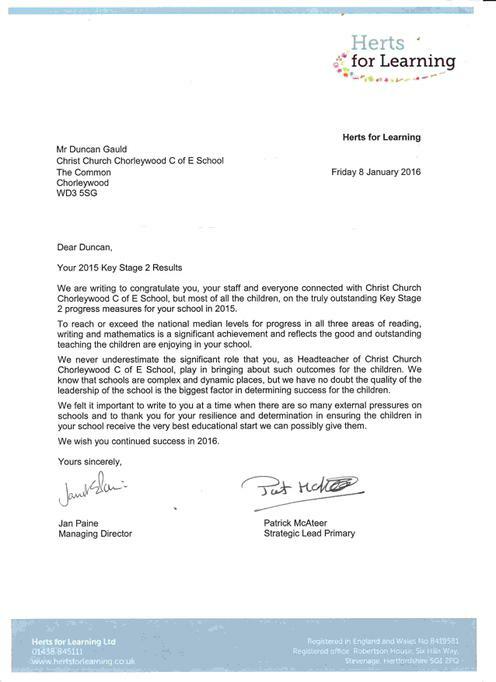 We received a letter from Herts for Learning directors this week congratulating us all on our outstanding end of Key Stage 2 national assessment measures. We are rightly proud of these high standards. The letter has been emailed out to all parents today and is copied here for your information.